The discussion paper raises the question what might a global Just Transition that keeps 1.5°C within reach look like. The authors argue that four aspects need to be considered. A transition is only just if it is a Just Transition for all. A transition is only just if it is fast enough to keep 1.5°C in reach. Just Transition debates are needed in all sectors of the real economy and finance. 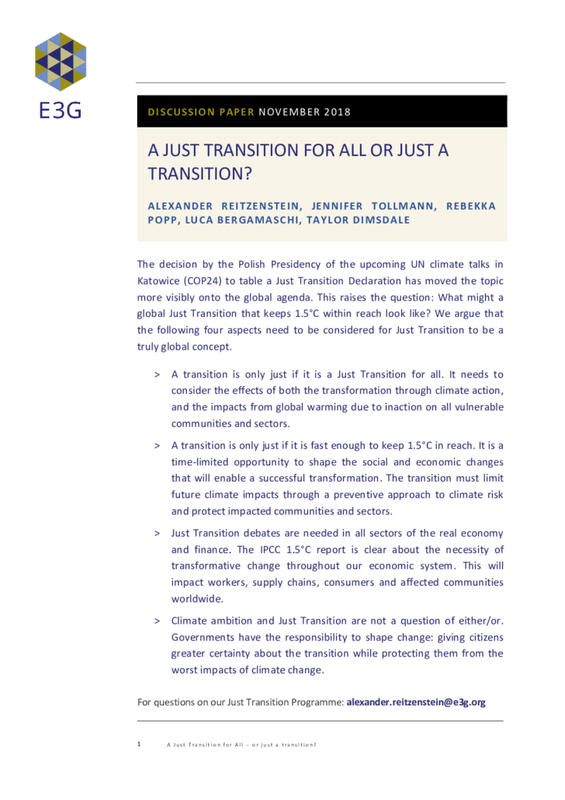 Climate ambition and Just Transition are not a question of either/or.